The Boy Name of the Week is one of my favorite occupational names and I chose it in honor of yesterday's name list. 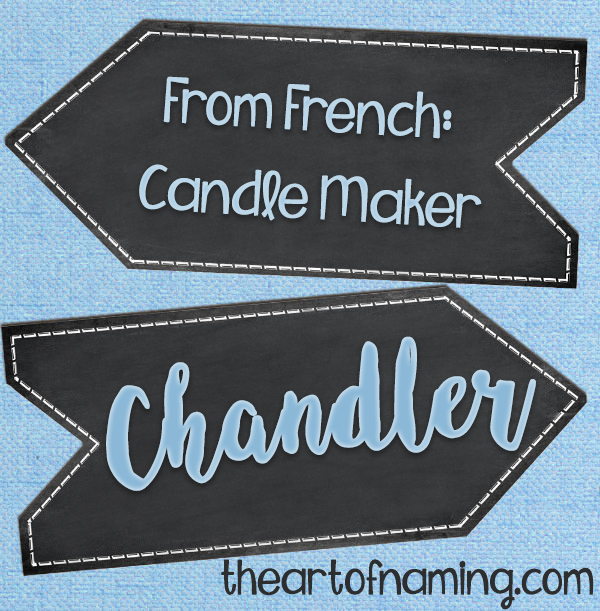 It is derived from an Old French name that took form as a Middle English occupational name meaning "candlestick maker" or "candle seller." Have you guessed? Yes, its Chandler. A chandler was the head of the chandlery in medieval households, responsible for wax, candles, and soap. There are some parents who will give this name to their daughter but it is more popular for boys. The most popular example in recent memory is funny-man Chandler Bing on the TV show Friends which aired from 1994-2004. However, despite fitting right in with the "-er" trend and the occupational name trend, Chandler has lost its popularity since 2004. In fact, the most usage this name has seen was indeed during the airing of that show. It more than doubled between 1994 and 1995, (from 704 births to 1,856). Its highest peak occurred in 1999 with 2,394 births and a ranking of #151. But lets back up a bit. Chandler first appeared on American baby boys in 1900 with 5 births. It took 62 years for the name to hit the girl market with 10 female births in 1962. Yet, before Friends even aired, the girl-Chandlers increased from 90 births in 1991 to 437 births in 1992 with its highest peak of 744 births occurring in 1995. The name has declined in usage for boys over the past decade, but it has actually increased for girls. In 2016, male Chandlers ranked at #466 with 650 births, whereas the females made a leap onto the Top 1000 chart, returning for the first time since 2002 for a rank of #995 and 264 births. It is almost time for this name to be fresh again. Which gender do you prefer for the name Chandler? What middle name would you pair with it? My son's name is chandler. He was born in 2002. His middle name is Remington. His sisters name is Charlotte olivia. Born 2012. 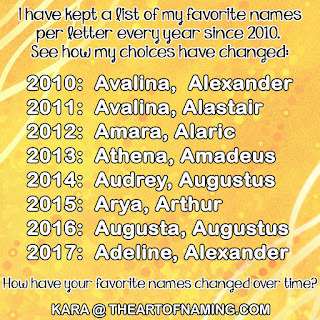 I am not pregnant again and having a hard time choosing another name.